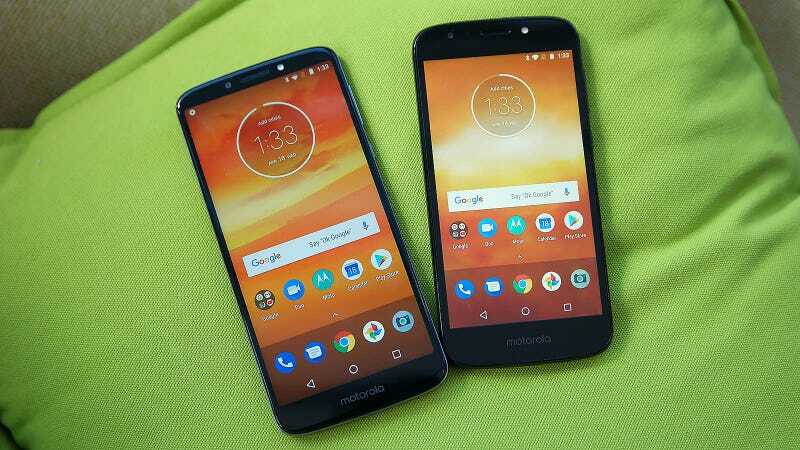 For years, Motorola has been the leader in making cheap phones feel like quality products, instead of gadgets designed only to hit a certain price point. 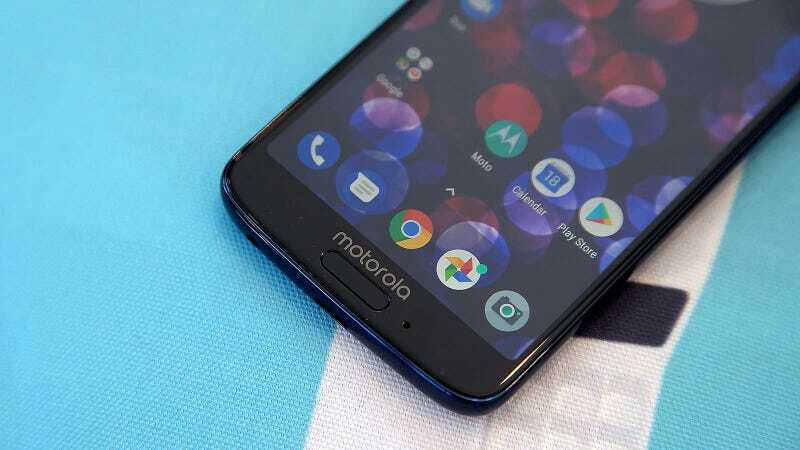 And while the next generation of Moto's low cost handsets don't seem super exciting, from what I've seen so far, they should continue Motorola's legacy of making, simple, but solid smartphones for under $US250. 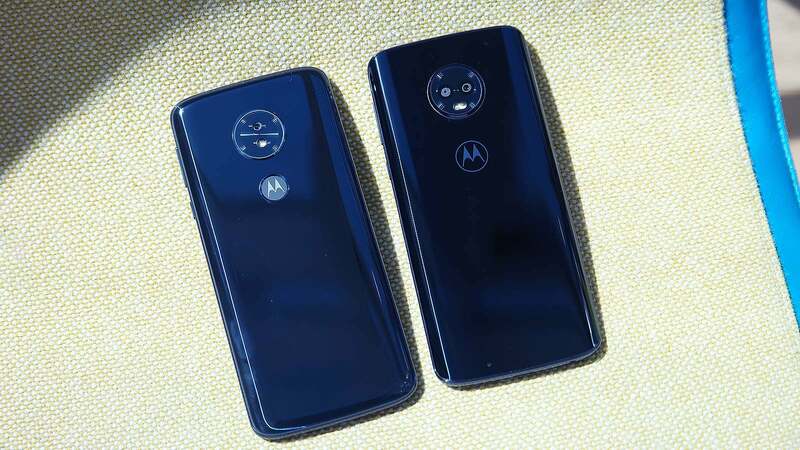 In total, Motorola is offering four new models: the $US250 Moto G6 and $US200 Moto G6 Play, and less expensive Moto E5 Plus and E5 Play. The Australian pricing and release date are TBA, but we have been assured that it will be soon. 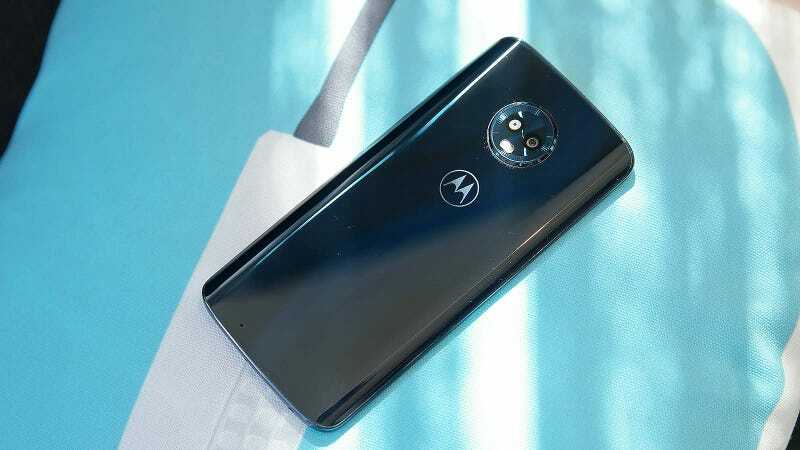 Starting with the standard G6, which can be considered the flagship of Moto's new low-cost lineup, Moto has taken a lot of design cues and features from the Moto X4, and made them just a little bit better. From the back, you can tell the two apart by their cameras. 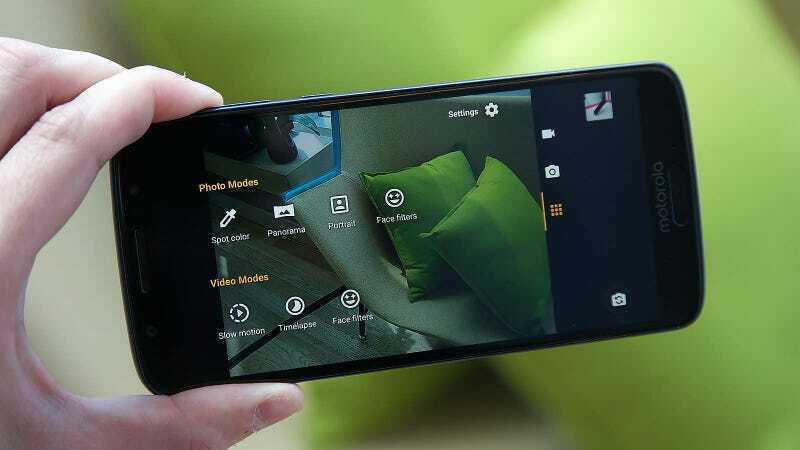 The G6 Play on the left features a single13-MP camera, while the G6 gets dual rear cams. 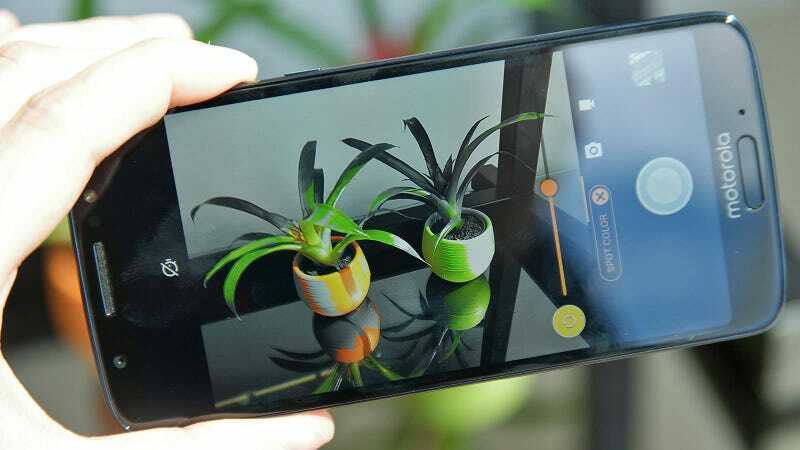 Instead of X4's 16:9 display, the G6 sports a 15cm extra-wide 18:9 full HD+ screen with a Qualcomm Snapdragaon 450 processor, 12-MP and 5-MP dual rear cameras, front-mounted fingerprint sensor, and a built-in microSD card reader. Available RAM will be either 3GB or 4GB depending on the model, with users able to chose from 32GB of 64GB of storage as well. 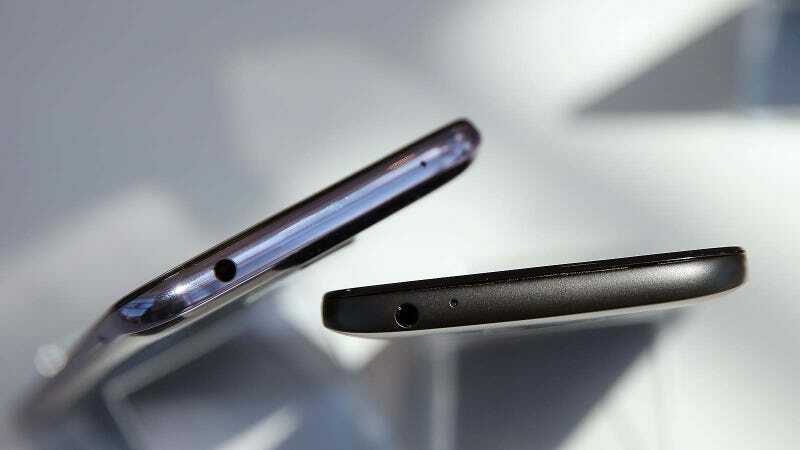 Around back, the G6 sports a sleek, curved glass back, along with a USB Type-C port and headphone jack on bottom. All told, the G6's specs ticks all the major check boxes for smartphone essentials, without adding in too much extra BS. 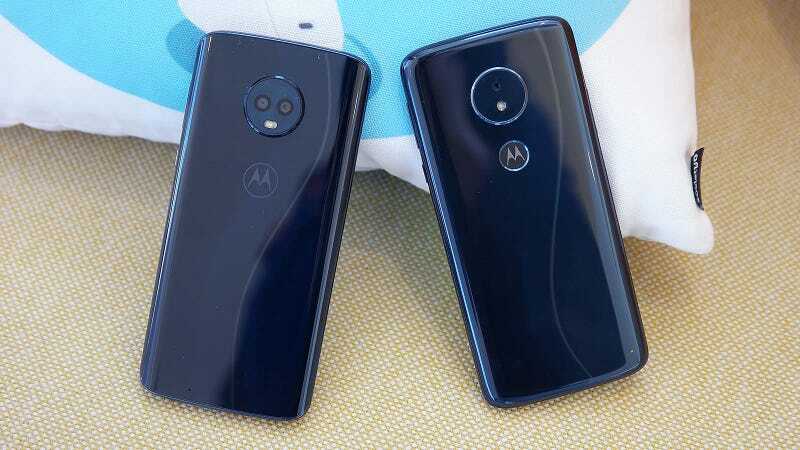 As with past G series devices, the G6 sports a near stock version of Android 8.0 Oreo, though Moto has included its traditional set of Moto Actions so you can hold the phone and twist your wrist a couple times to launch the camera, or make a chopping motion to turn on the torch. 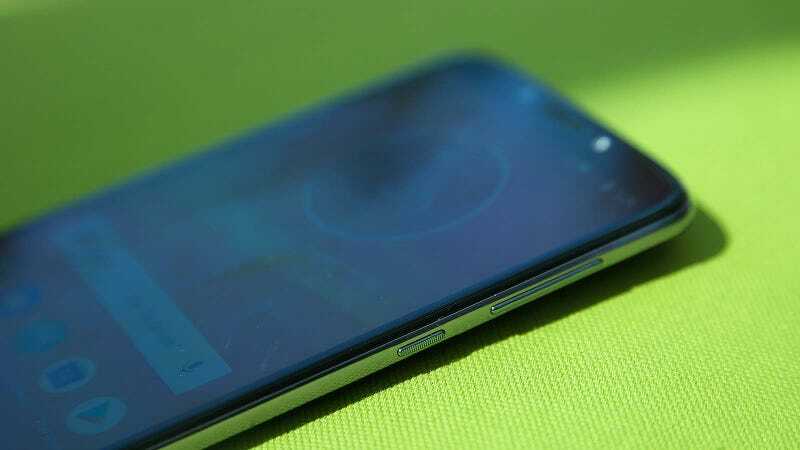 Click through for more photos of the Moto G6 and G6 Play. 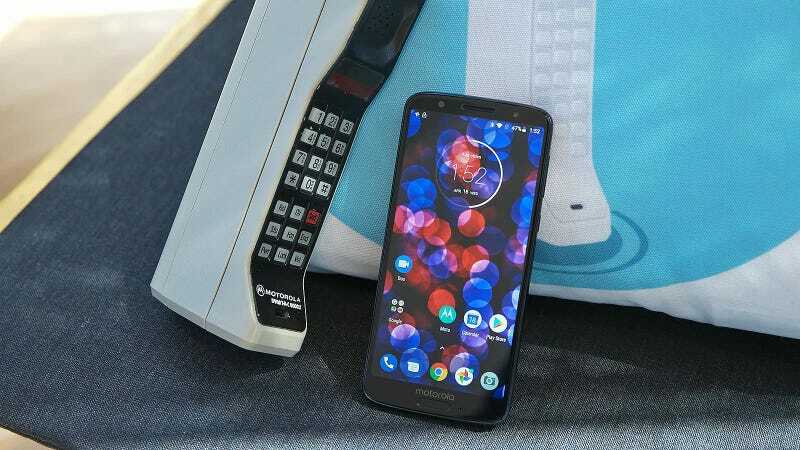 In case you were wondering, that brick behind the G6 Play is what cell phones used to look like 40 years ago. 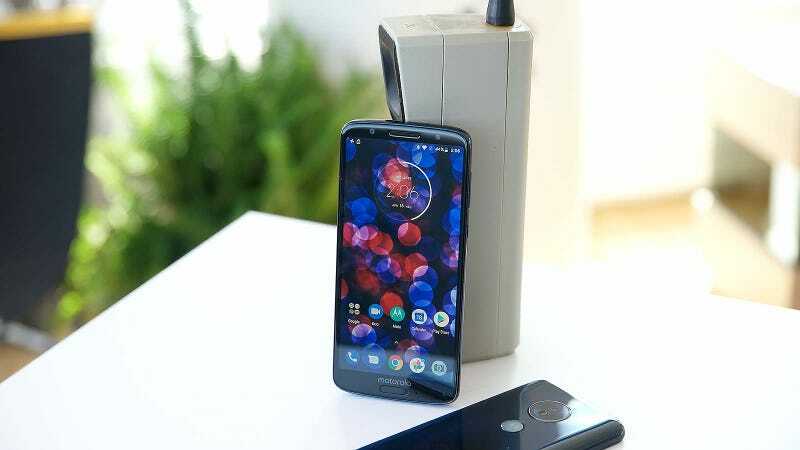 Even the fingerprint sensor supports gesture controls so that instead of using Android's traditional software nav buttons to get around, you can swipe left on the fingerprint reader to go back, swipe right to open recent apps or press and hold to lock the phone. 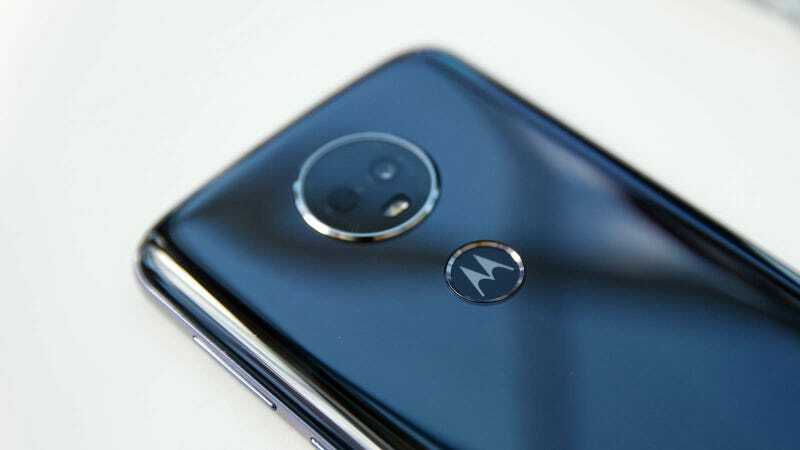 Inside the camera, Moto has also added object recognition that can detect certain landmarks and certain objects like food, and a the usual set of selective focus and depth of field effects that you'd expect from a dual camera smartphone. Once again, these aren't particularly new or innovative features, but they remain nice additions to an otherwise minimalist Android skin. 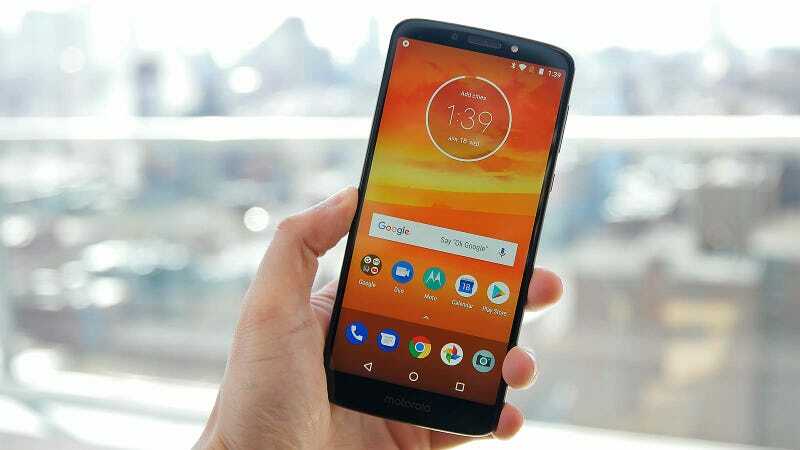 As for the G6's slightly cheaper sibling, the G6 Play, Motorola has moved the phone's fingerprint reader to the back, while also stepping down to a Snapdragon 427 chip, lower-res 1440 x 720 screen, 2GB or 3GB of RAM, 16GB or 32GB of storage and a single 13-MP rear cam. But then things get a little weird with the G6 Play's 4,000 mAh battery, which is 1,000 mAh more than the one in the more expensive G6. 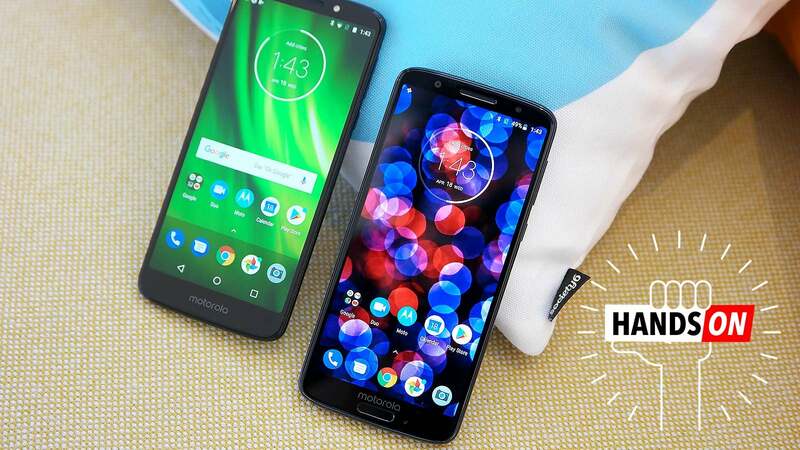 Moto says that the standard G6's more energy efficient CPU should neutralise some of the discrepancy in battery size, but honestly, screw that, I want both phones to have the big battery! 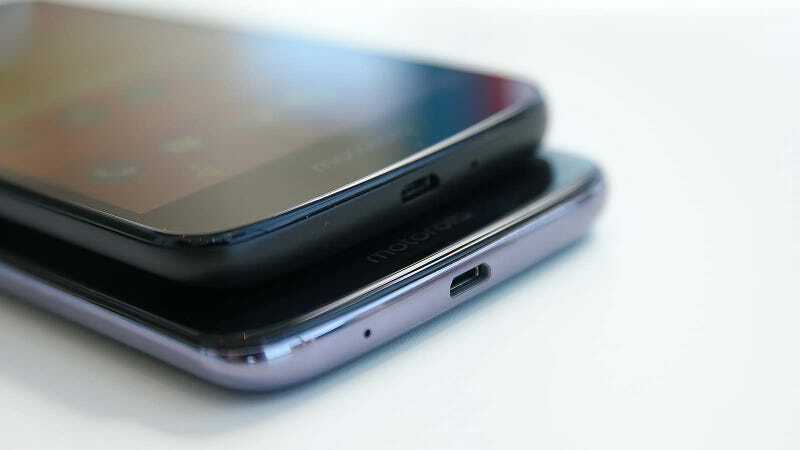 I also kind of take offence to Motorola putting a micro USB port on the G6 Play instead of USB-C. 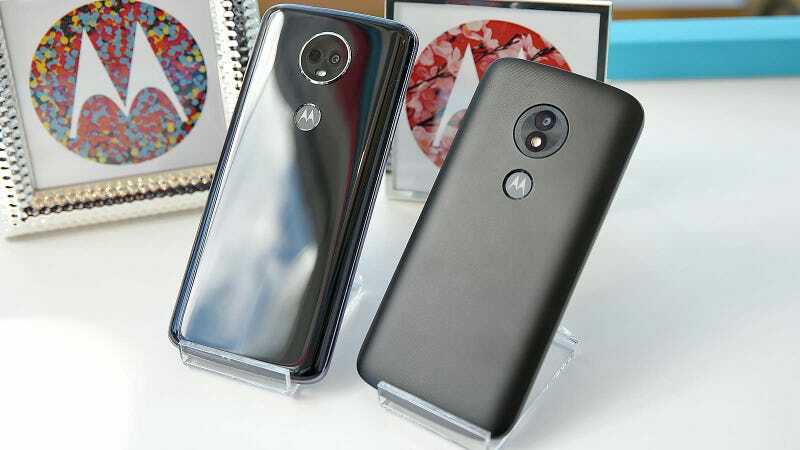 It seems like a lazy cost-cutting move that goes against what makes Moto's G-series phones so good in the first place. 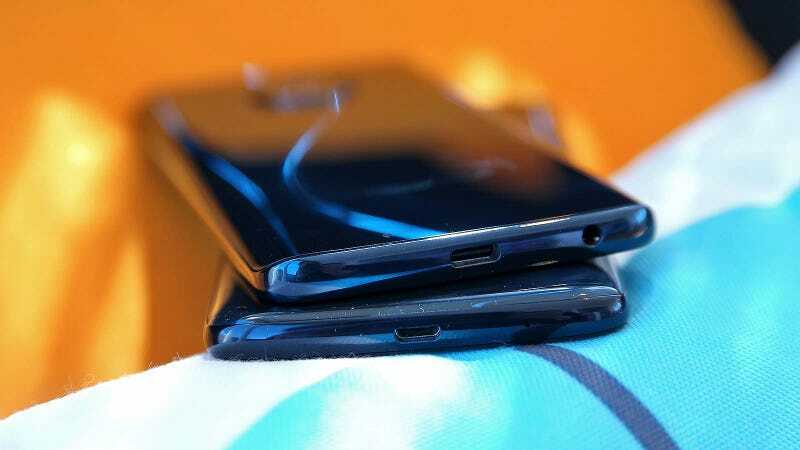 Thankfully, both the G6 and G6 Play have kept their headphone port, because the last thing you want to do after saving money on a phone is turn around and buy new headphones because there's no 3.5mm jack. 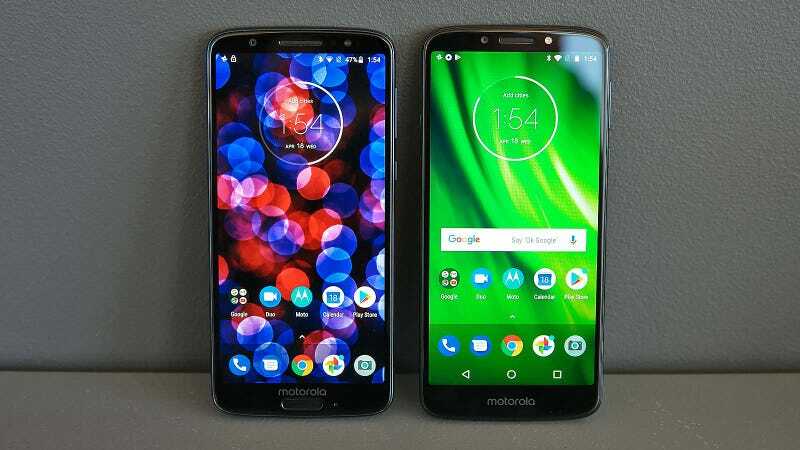 For phones that should cost around $US150 ($195) (or maybe even less), the E5 Plus (left) and E5 Play don’t look too shabby. Finally, we come to the E5 Plus and E5 Play. Unlike the G-series which will be available unlocked and through carrier channels, the E-series will only be available direct from wireless providers, which is why specific pricing hasn't been announced yet. That said, it's safe to assume that both phones will cost even less then the $US200 G6 Play. 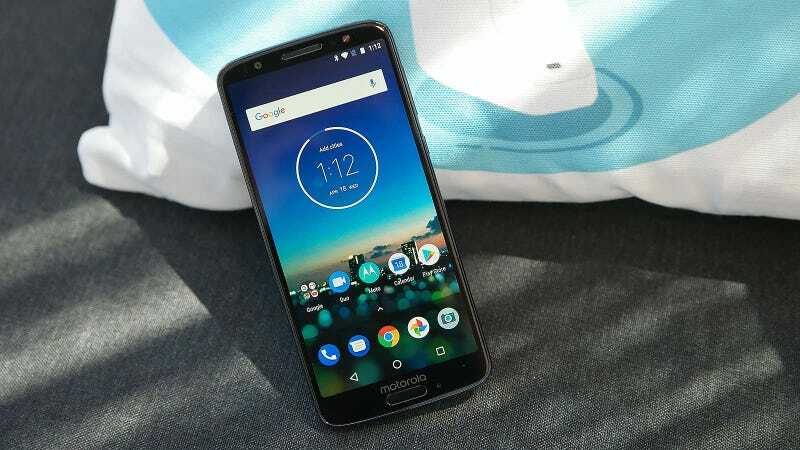 Specs-wise, the E5 Plus sports a huge 15cm 1440 x 720 screen alongside a massive 5,000 mAh battery, Snapdragon 435 CPU, 3GB of RAM, 32GB of storage and microSD expandability. 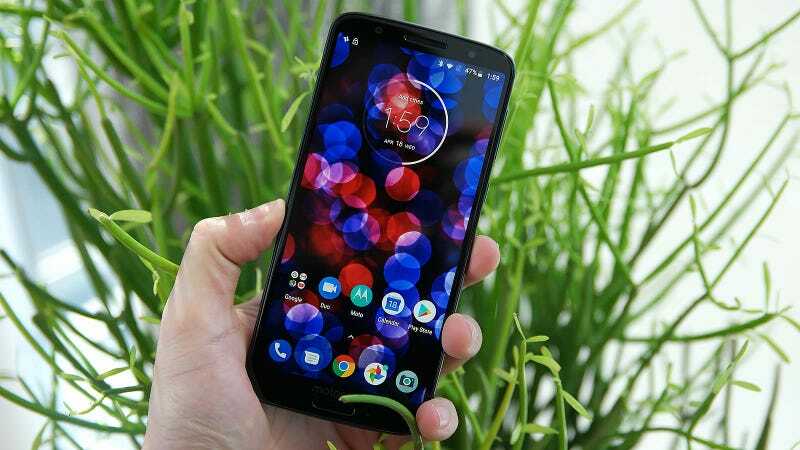 Meanwhile the super budget E5 Play features just 2GB of RAM and 16GB of storage, and is the only new Moto with a cheapish feeling plastic back. 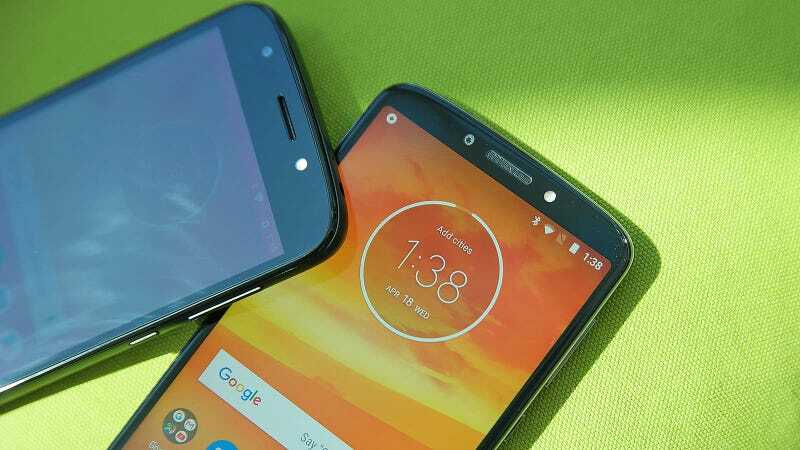 Even though I only got to spend a briefing time checking out the phones, it's clear that two of these phones are a little more interesting than the others: the standard G6 and the E5 Plus. At just $US250, the G6 has all the features you really want on a phone. Heck, it even has a face unlock system, though likely not nearly as secure as Apple's 3D FaceID tech. Alternatively, the E5 Plus should be quite cheap, while also featuring the biggest screen and battery of the four. 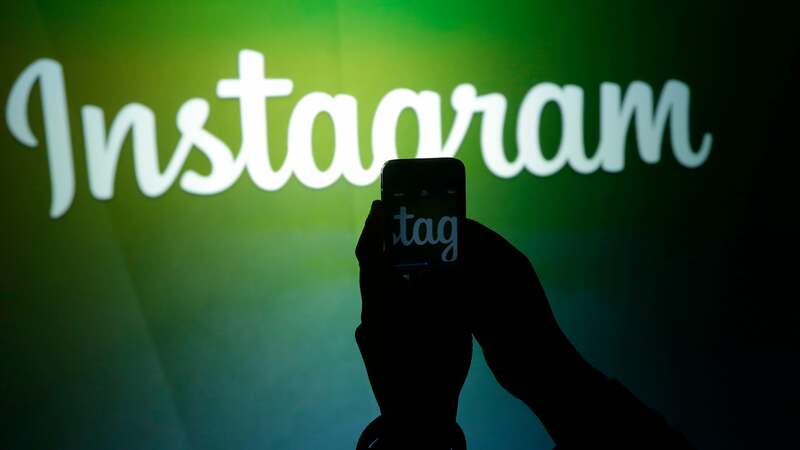 It's an intriguing combination for folks who just want to most device for their dollar. 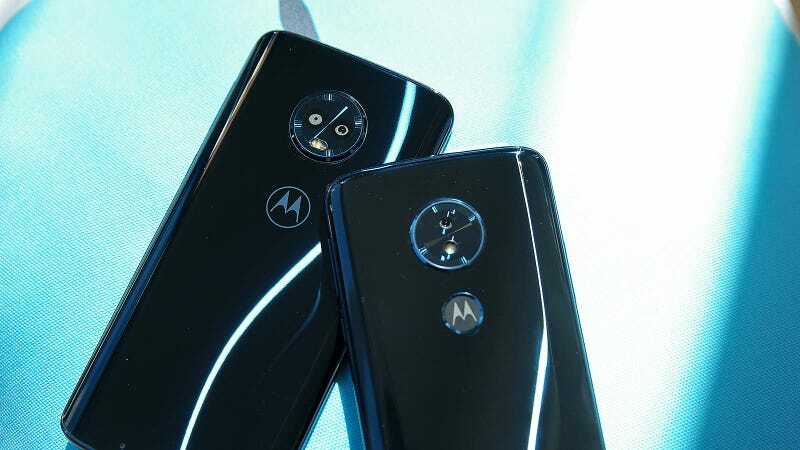 While no specific release dates have been announced just yet, Moto says both G6 and E5 handsets should go on sale sometime later this year.